All IPs are not treated the same, the geographic location of your IP address can dictate what you see on a Website, and subsequently what you pay for online good and services. Using Identity Cloaker software you can make it appear that you are located elsewhere in the world, and as such take advantage of local offer that normally you would be excluded from. 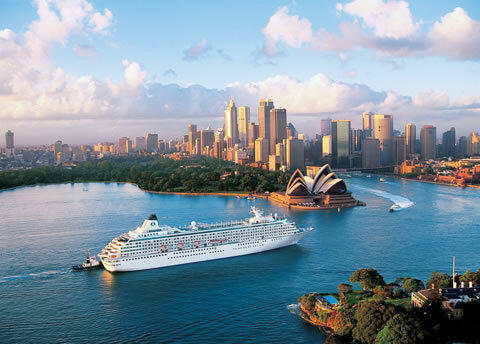 Recently I purchased a round the world cruise, and saved myself over 13% by booking it through a UK IP address rather than an Australian one. You see it works like this, visit www.pocruises.com and attempt to make a booking, unless you are in the UK you will be forwarded to the details of your countries booking agents. You can contact them and get prices, but you will find they are much higher in general than the advertised prices on the P&O Website. So what is stopping you getting those prices? Quite simply P&O know you are outside the UK. To get those lovely UK prices there are a few steps you will need, this process is the same for almost all sites you might want to deal with be they in the USA, UK or just about anywhere else there is a proxy available for. Now in the case of P&O you will also need a UK telephone number and an address, in these days of e-tickets you would actually get away without the address to some extent but it's not hard to get one. For a UK telephone number try voiptalk.org, or of course you could try getting a UK number from Skype. For a UK address search Google.co.uk for "virtual office", and select somebody who does mail forwarding. If you want to do this for a USA based company its much easier as there are many companies in the USA offering mailing addresses to the online world. Now you probably need to clear your cookies as sites like P&O log your details the first time you visit, check Google for the free program CCleaner and run this to clear just about ever element of your online history. Now fire up Identity Cloaker and select the country you need, in our case the UK, then visit the site. You will now find the online ordering system works fine, use your UK address and telephone number and hey presto you got your cruise. Of course for cheap items this is hardly worth bothering with, but in this case we are talking about saving several thousand dollars. With regards to cruises some of the US companies will only sell to those with a US passport, and that's a little harder to get around!